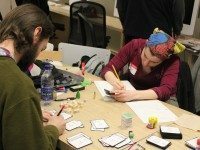 At the third-annual Board Game Jam, teams of creators had 48 hours to make an original tabletop diversion. This weekend: a bike show rolls into town, create your own game at the annual Board Game Jam, a tribute to Nijinsky, and more. 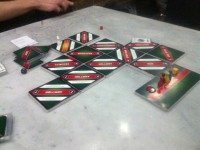 In the second annual Board Game Jam, participants faced a ticking timer as they created an original board game in two days. 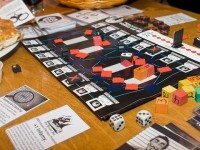 This weekend, bring your game face to a board game–making competition; see the winter that could have been (though likely a much prettier version) at this year's Icefest; find out what happens when classical music gets taken out of the halls and put into the barns, and so forth.